Apples and spices just go hand in hand. 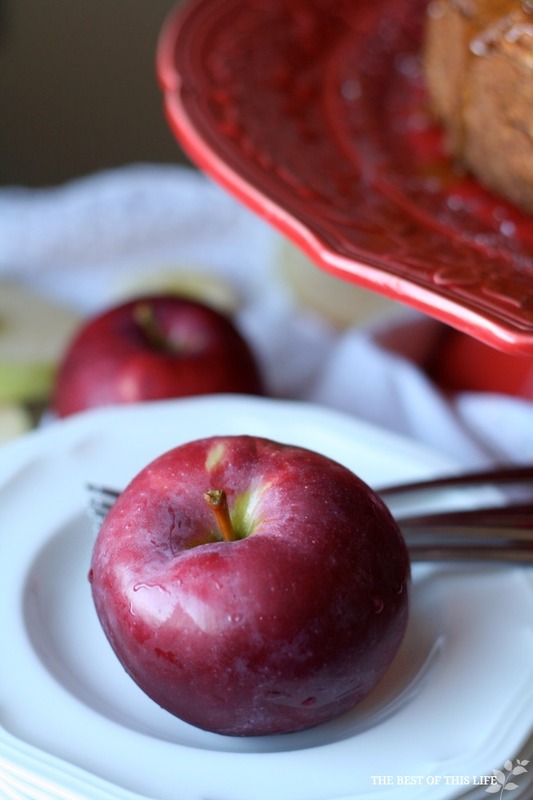 They complement each other perfectly; cinnamon, nutmeg, ginger, they all bring out scrumptious flavors in baked apples. 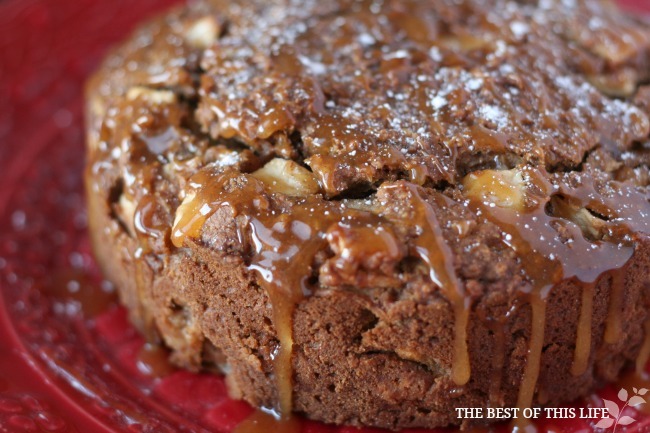 This Apple Spice Cake is an ideal medley of sweet and spice – in one delicious dessert. With all the gorgeous apples we have on hand from our apple picking adventure, a tasty cake was one of the first recipes on my list. 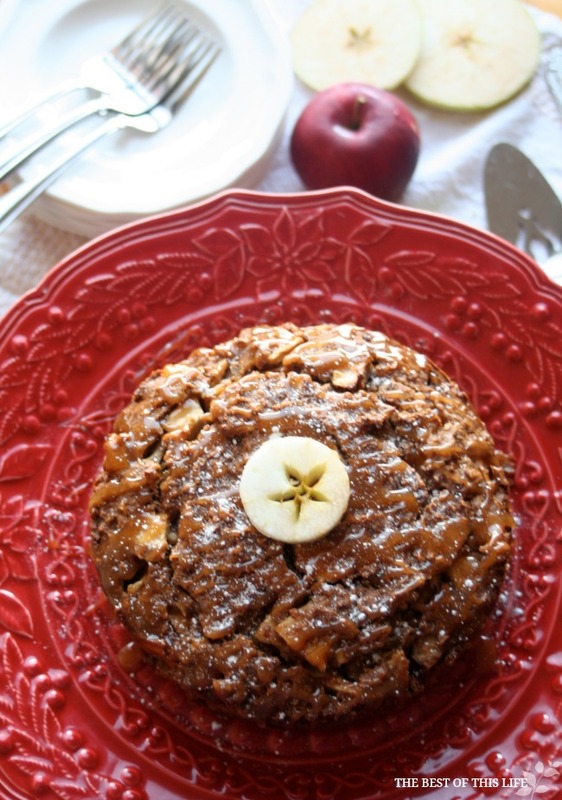 Chock full of fresh apples, oats, and covered with an apple cider drizzle, all go into making this cake simply irresistible. I don’t know about you, but to me – a warm apple dessert topped with a bit of ice cream or coconut whip is just heavenly. It rings in Fall with all of its bounty and goodness. Oh, and this cake couldn’t be simpler to make! You can make it in a tube pan or a french corningware dish (which I did!). It bakes easily and once cooled, you flip it out and cover it with a drizzle that adds just the right amount of pucker. Mmmmm…. Combine the chopped apples, water and 1/2 cup of the sugar. Cook for about 8 minutes or until the apples are almost tender and then cool. In a mixing bowl, combine the flour, baking powder, baking soda, salt, cinnamon, allspice, oatmeal, (raisins, and pecans). Stir in the cooled apple mixture, eggs, remaining sugar, and the oil. Mix together until just moistened. Bake in a lightly greased 10-inch tube pan or 1 1/2 qt corningware for about 40 minutes at 350°. Cool for about 15 minutes before removing for the pan. 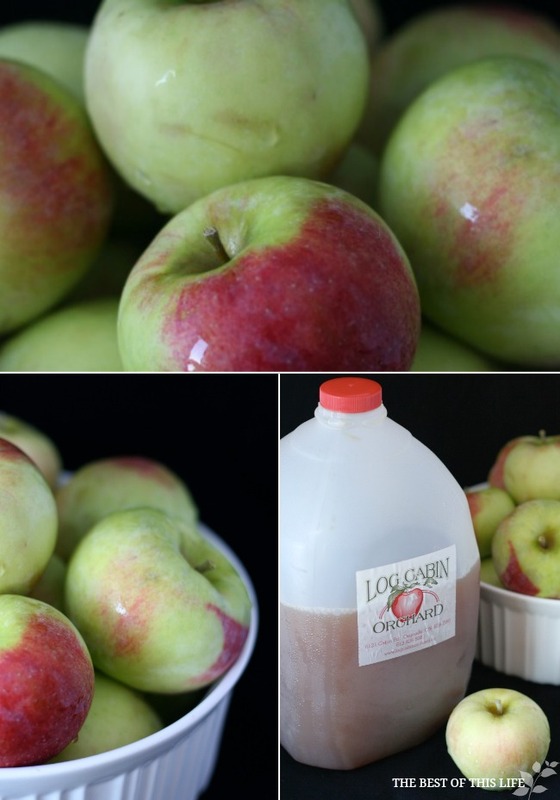 Bring the cider to a boil over medium heat, reduce heat to low, and simmer for 10 minutes. Stir in the virgin coconut oil or butter, cinnamon, salt, and 1/2 cup of powdered sugar until smooth. Stir on low heat until desired consistency is reached ( between glaze and caramel). Drizzle with spoon over cake. Serve with ice cream or coconut whip. Delicious! Just a wonderful home baked tasty treat! I love it! 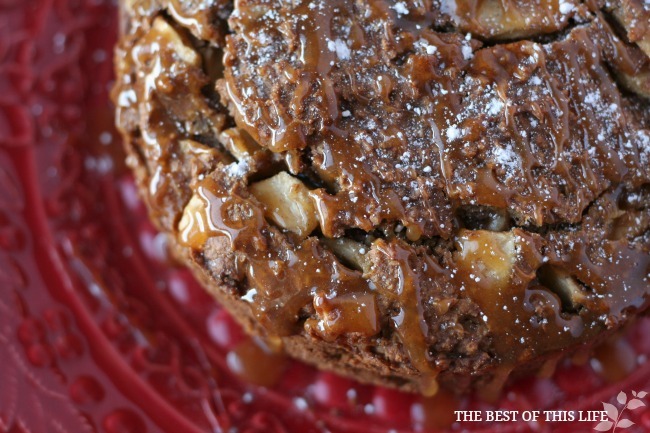 Spice cakes are one of my favorites this time of year. Love the cider glaze! Oh my! This look amazingly delicious!! My first ever G.F. cake! I followed your recipe as is, and it came out very well, and tasty. Only problem is with crumbling when I cut it, although it is still nice and moist. Thanks for the recipe!